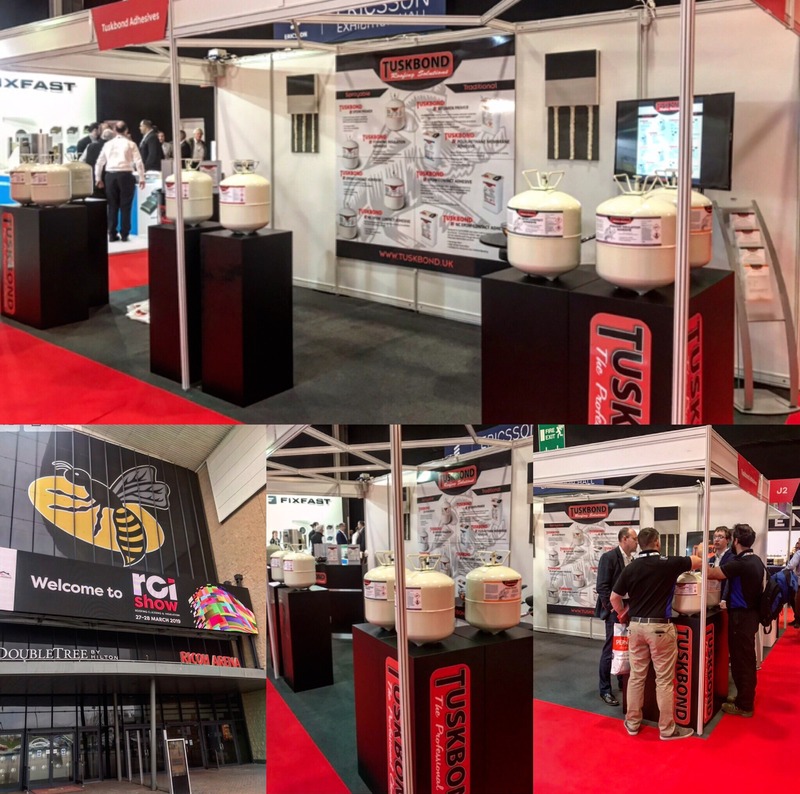 Tuskbond launched our brand new range of Roofing Adhesives at this years RCI Show. The RCI Show brings together leading names for roofing, cladding and insulation, International and UK-based, providing an ideal platform to showcase the latest products and developments within the industry. The two day exhibition allowed us to showcase our already extensive knowledge within the roofing industry, but through our UK brand ‘Tuskbond’. During the two days, we were able to exhibit our full range of roofing adhesives in the form of both sprayable canisters and 5L bergs. Manufacturing our own adhesives on site, allows us to share our in-depth knowledge of the process, with confidence in the products we produce. Tuskbond will continue to put our customers’ needs in mind, with full technical control in the development of innovative products, accompanied by excellent service.